Excited for Windows 8? Makes you feel Sexually aroused? Well, you can get the beta. Microsoft has just posted the pre beta, Windows Developer Preview, for download on your 32- or 64-bit x86 hardware, and activation is not required this time. And remember, this is just a beta, this is not a stable version and you will find some issues, that is why it’s recommended to be installed on a separate partition or different machine. 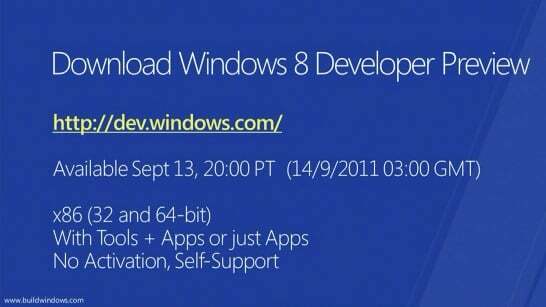 Click here to go to Microsoft Windows Developer site and download the betas for your machine.